We at The Gourmet Chocolate of the Month Club could not be more excited to bring you a small-batch chocolate maker who was a Good Food Awards finalist in 2011 and 2013: Mindo Chocolate Makers. Even though they are based in Dexter, Michigan, the cocoa beans are single origin organic cocoa beans from Ecuador. They are known as “Tree to Bar” chocolate makers as they are involved in the entire chocolate making process from picking out the cacao pods to hand wrapping the final product. In fact, because they are involved throughout the entire process, they told us that the cocoa beans used in your bars were from their latest harvest so the chocolate is freshly made just for our members! Jose Meza and his wife Barbara Wilson didn’t start out with the dream of being chocolate makers, they just happened to be at the right time in their lives to explore and fall in love with the world of chocolate. It all started several years ago when Jose and Barbara went on vacation to Ecuador. Jose was born there and hadn’t been back in over 40 years since moving to the States when he was 13. After several visits, the couple fell in love with the country and in 2007 decided to purchase some land in Mindo, Ecuador (Mindo is an hour and a half drive from Ecuador’s capital Quito) where they started building their ‘little house’ – as they called it – in 2008. Jose is a self-described entrepreneur so their ‘little house’ quickly turned into a café and hostel shortly after completion, and they named their new venture El Quetzal de Mindo. Jose and Barbara started using locally sourced ingredients for the menu at the café. They later turned their attention to chocolate when Barbara was becoming unsatisfied with the chocolate that they were using to make their already popular brownies. Originally, she was bringing back chocolate from the States and later started using locally sourced and produced chocolate. But, she was still not completely satisfied with the chocolate she was using and wanted to try to make chocolate herself, so she started to educate herself about where chocolate comes from and how it’s made. Jose and Barbara soon started talking to local farmers about the different types of cacao trees and what kind of cocoa beans they produce. With some research they found that most (close to 80% according to Barbara) of the cocoa beans used in today’s chocolate confections are from hybrid cacao trees that grow small so they are easy to harvest, resulting in a less flavorful cocoa bean. They also discovered that the cacao tree originated in the Amazon basin in Ecuador, and that this specific variety, known as Nacional, is still only found in Ecuador. The Nacional tree produces cocoa beans that are considered to be in the top 2% of quality, so it’s no surprise that the Nacional tree was their first and only choice. It’s also important to note that since cacao trees originated with the Nacional tree, the beans are considered ‘heirloom’ beans since they are not a hybrid variety. With that being said, these beans are probably more closely related to the beans that the Mayans and Aztecs consumed 3,000 years ago! 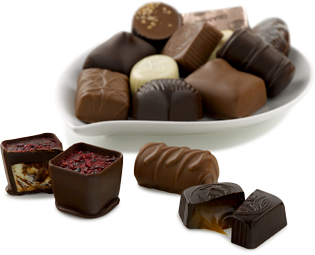 Barbara has said that chocolate making is complex yet simple at the same time. After we learned about the whole process, we will not only agree with her but also leave the chocolate making to Jose, Barbara, and their team. The pair wanted to find farmers that they can have a direct relationship with and farms that don’t use any pesticides or fertilizers, and they found just that in a farm co-op that is certified organic by Ecuador. These farms are set up a little different from traditional farms as their cacao trees are grown intermixed with other plants and trees which maintains a habitat for birds and other animals as well as promoting the midge population (known as cacao pollinators). During harvest, the farmers only select the healthy pods with healthy beans. The farmers will then remove the fruit from the pods and it will either be delivered or picked up and taken straight to the house. On arrival, the beans themselves are inspected for quality and ones not up to their very high standards are removed. The remaining beans begin fermenting for six days in specially designed fermentation boxes the same day the beans come out of the pod. After fermentation, the beans are laid-out on trays in the sun to dry for approximately 6-21 days, depending on weather. Once dried, they are roasted, winnowed (the process to remove the husks), and ground down resulting in ‘nibs’. At this point in the process, most of the nibs are shipped via air to Michigan to complete the process in the couple’s specially designed and licensed kitchen in their home. In Dexter, Michigan, the nibs head for a 65 pound stone grinder to create ‘cocoa liquor’. At this stage, the liquor can go in one of two directions: chocolate or cocoa powder/butter. The butter and powder are made by using a high-pressure press that separates the butter from the cacao (the beans themselves are 50% butter). The resulting leftover cocoa solid from the press can then be ground down to make powder and the leftover butter can be used in a variety of different ways – everything from making more chocolate to making lotions! Don’t worry, no lotions were made with your cocoa beans, just more chocolate! The other direction from the liquor is, of course, chocolate. Mindo refuses to taint the flavor of the chocolate and wants the chocolate to be the focus, so their chocolate features just two ingredients: cocoa beans and organic evaporated cane juice. To make the chocolate, the organic evaporated cane juice is added to the cocoa nibs and they are put into a stone grinder (melangeur) to conche and grind for 30-36 hours in a 100°F room. Conching aerates the chocolate, developing and mellowing the flavor, and it also distributes the cocoa butter as it coats the cocoa solids, resulting in a smooth and silky chocolate. The longer the conching process, the smoother the flavor due to the aeration removing VOC (volatile organic compounds), which are acidic. It is possible to over conche and remove the brightness of the chocolate, but Mindo avoids this by taking the chocolate out of the conche once the flavor is just right. Next, the conched chocolate is tempered whereby, through a process of heating and cooling the chocolate, the desired cocoa butter crystals form. If done correctly, the tempered chocolate will have a nice gloss and snap once cooled. 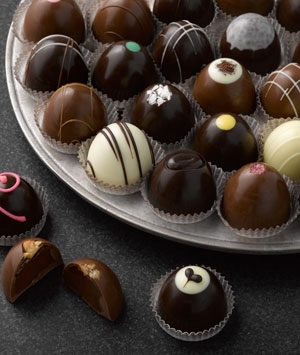 This is a just a sample of what Mindo Chocolate Makers has to offer; their online store has cocoa powder, brownies, baking chocolate, and cocoa liquor to name a few. Also note that each batch of chocolate will have its own unique flavor as these heirloom beans are not genetically modified and each small batch is handcrafted from single estate beans. Many factors affect the flavor of beans including variety, terroir (soil and plants growing around the cacao), fermentation, drying, roasting, conching, and aging of chocolate. Barbara told us to keep the bars in a cool dry place; because of the freshness of these bars this chocolate will be stable (won't go out of temper) up to one year, but because they don’t add the extra stabilizers such as soy lecithin these bars won't be stable much more than a year, as you may find with a more typical chocolate bar. El Quetzal de Mindo may have originally intended to be a house for Jose and Barbara to retire in, but now it’s a premier restaurant with rooms to rent. The restaurant’s menu features fresh and organic foods from their own gardens with authentic Ecuadorian and typical American dishes. You can also rent out one of the few rooms that they have or take a daily tour through their chocolate kitchen located on-site. If the tour isn’t enough for you, Mindo Chocolate Makers offers chocolate making courses and various events throughout the year. For more information on Mindo Chocolate Makers, visit their website at www.mindochocolate.com or on Facebook at www.facebook.com/mindochocolatemaker. Information on El Quetzal de Mindo can be found at www.elquetzaldemindo.com.